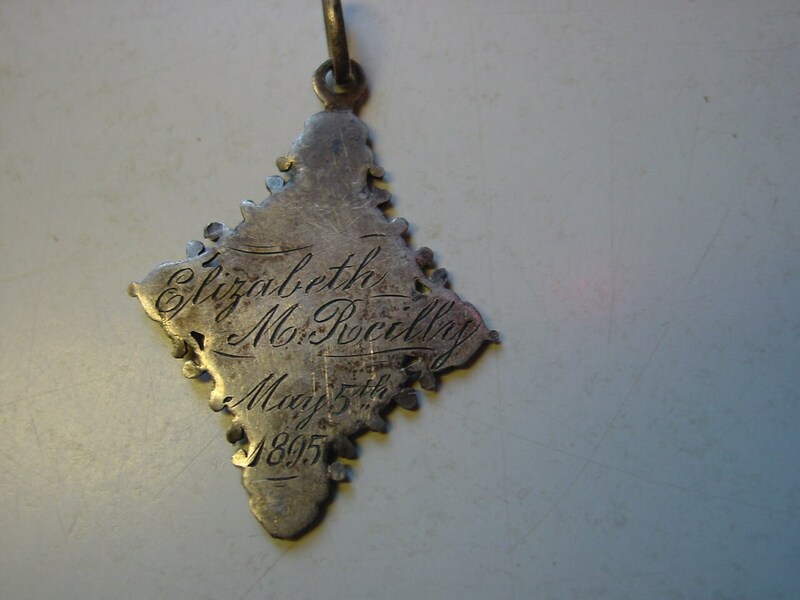 Victorian Sterling Silver FIRST COMMUNION MEDAL - inscribed "Elizabeth M. Reilly May 5, 1897"
Beautiful medal - very unusual shape. 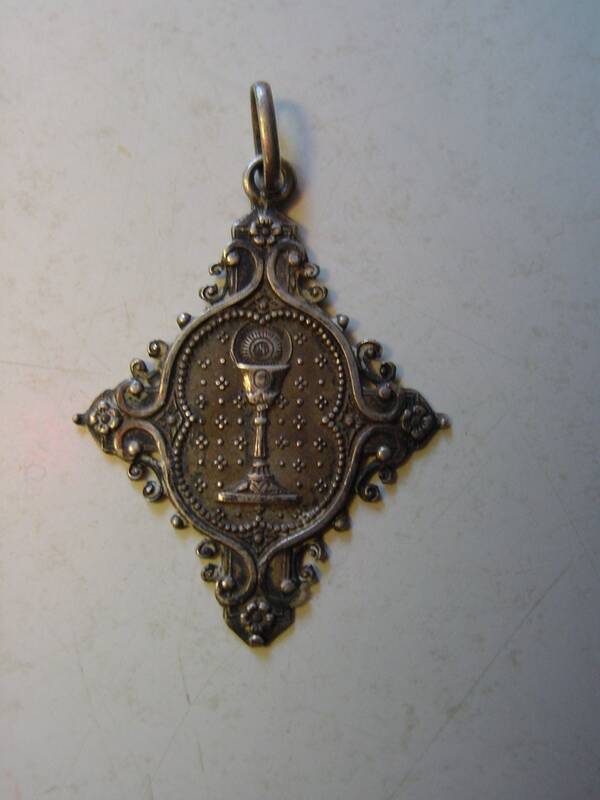 Inscribed on back - "Elizabeth M. Reilly, May 5, 1897"
Excellent condition with no scratches or worn spots. 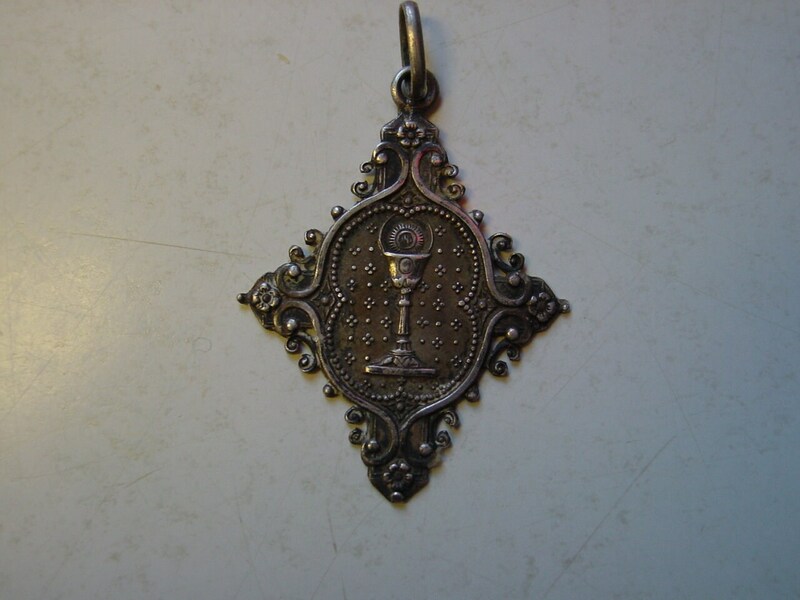 I have not polished up the silver as it has a nice patina.